EUR is appearing weak against USD due to the unchanged Economic Sentiment in Germany. 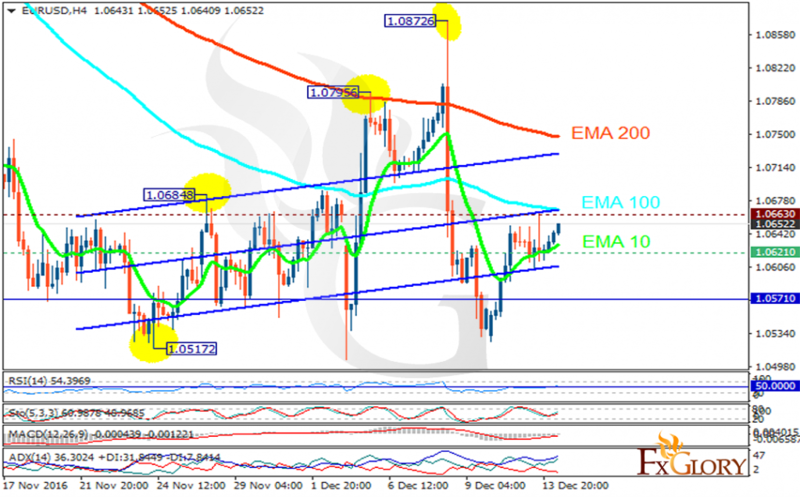 The support rests at 1.06210 with resistance at 1.06630 which both lines are above the weekly pivot point at 1.05710. The EMA of 10 is moving with bullish bias and it is below the EMA of 100 and 200. The RSI is moving above the 50 level, the Stochastic is showing upward momentum and the MACD indicator is in neutral territory. The ADX is showing a buy signal. The resistance zone at 1.066 seems to be strong therefore after a short term rise, sellers’ next target can be 1.0550.